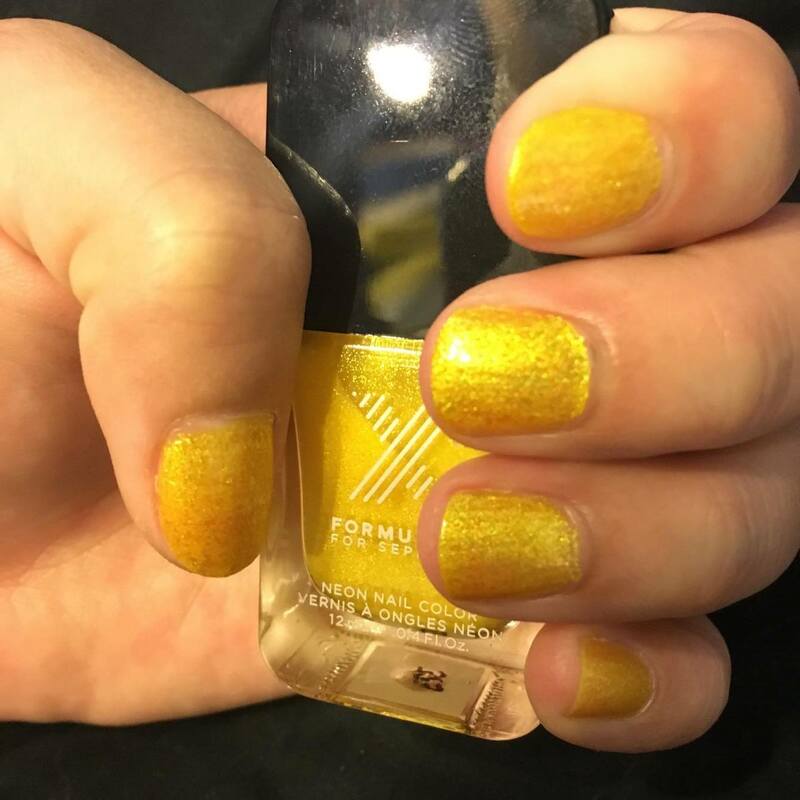 I don't know how I feel about this color at all, when I bought it I thought it was one of those textured polishes and it definitely isn't. 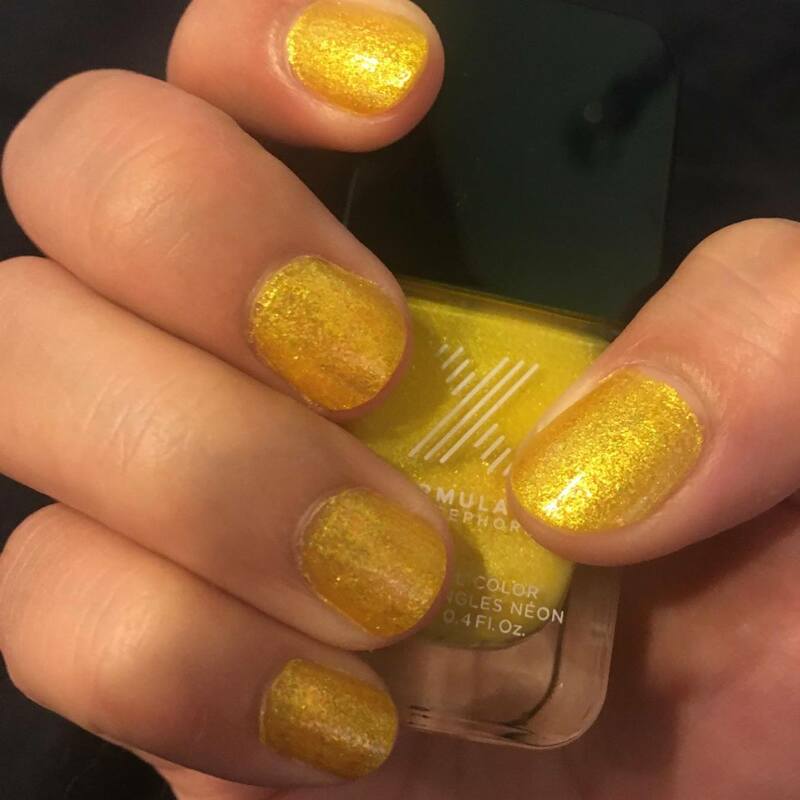 It ended up being a shimmery polish however the color looks horribly sickly against my skin so sadly I don't think I'll really be going for this guy. It would definitely look better on paler skin so I think I might try again in winter, or perhaps on my toes. In general it wasn't a great polish to work with either, it was streaky and clumped together so I actually had to go with shimmer top coat to kind of smooth everything out. The topper didn't really take away from the natural color at all, it kind of just enhanced the shimmer. 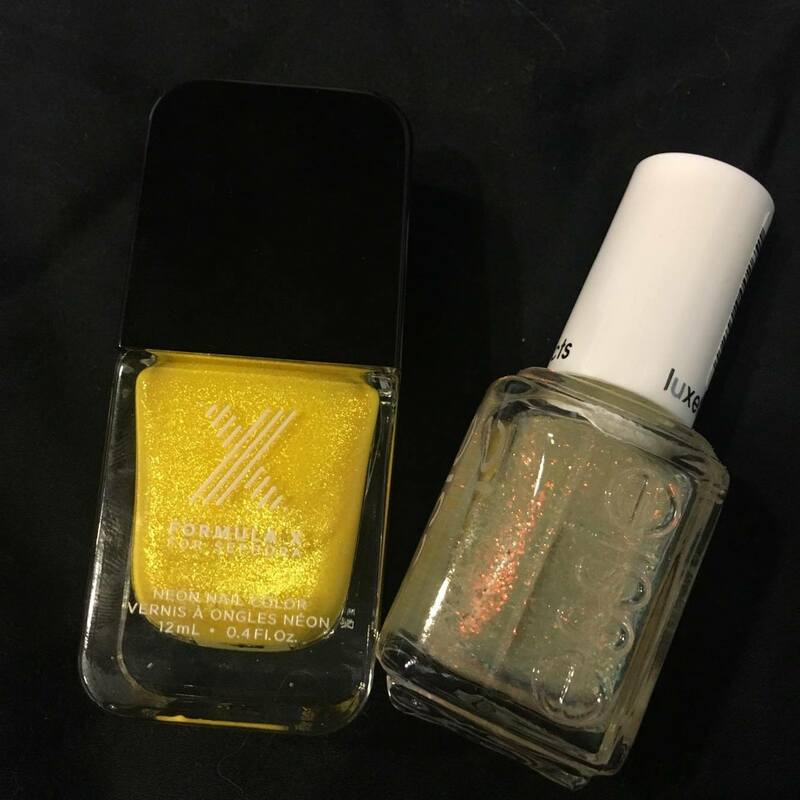 So this marigold color is Sephora Formula X in Turbo and it's just a shimmery yellow color. 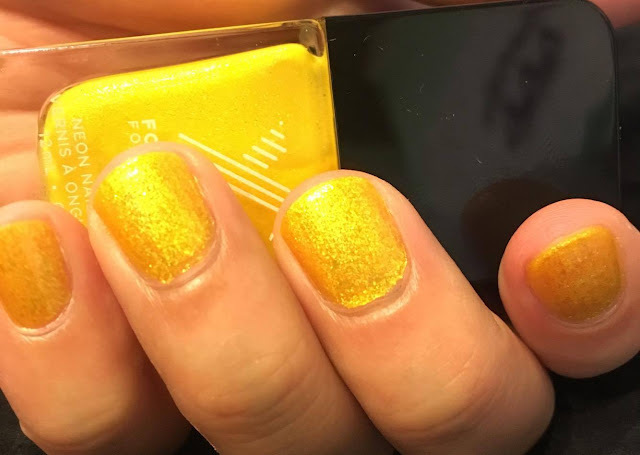 As I mentioned above it wasn't the best formula to work with, but for a yellow it actually went on fairly opaque. 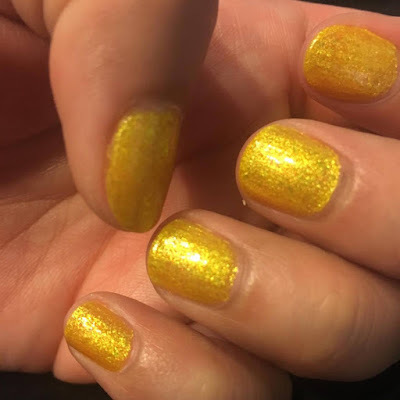 On top I used Essie in Shine of the Times to kind of smooth everything out and fill in some of the bald patches with some distracting shimmer. I'm just not in love with this, I feel like it looks kind of juvenile and tacky. Does anyone have tips on how to wear this better? 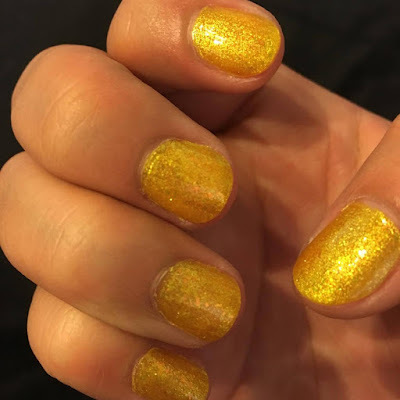 Perhaps as an accent nail instead of a full hand manicure?